Our Temple Sholom family is comprised of individuals, families, singles and couples from differing backgrounds and interests drawn together by the mutual desire for a meaningful Jewish experience. Our congregation is a broad mix of ages, educational and religious backgrounds. This diversity makes Temple Sholom an exciting, interesting and inspiring place to be. 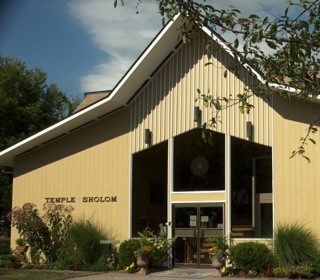 Temple Sholom is conveniently located on the corner of Route 42 and East Dillon Road in Monticello, New York. This central location makes the temple easily accessible to people throughout Orange, Sullivan and Ulster counties in NewYork and Pike County in Pennsylvania. For more information call us at 845.794.8731.